The execution of Joseph Wood took two hours to finish. There were conflicting reports that Wood was gasping for air as he died. Last week, Arizona executed Joseph Wood. The procedure lasted nearly two hours and documents released Friday show that it took 15 doses of lethal drugs to kill Wood. The documents show that Wood was given 750 mg each of Midazolam and Hydromorphone during the course of his execution. Wood began getting the drugs at 1:57 p.m. on July 23 and was declared dead at 3:49 p.m. A statement issued Friday by the Arizona Department of Corrections stated Wood "remained deeply sedated throughout the process, and did not endure pain." The documents released Friday include lengthy lists of drugs given to Wood during the execution. The revelation that it took 15 doses of the drugs also revises earlier reports that Wood was only given two doses. Wood's attorneys released a statement Friday describing the execution as the most prolonged "in recent memory" and reiterating their calls for an independent investigation into the ordeal. The Arizona execution protocol explicitly states that a prisoner will be executed using 50 milligrams of hydromorphone and 50 milligrams of midazolam. The execution logs released today by the Arizona Department of Corrections shows that the experimental drug protocol did not work as promised. Instead of the one dose as required under the protocol, ADC injected 15 separate doses of the drug combination, resulting in the most prolonged execution in recent memory. This is why an independent investigation by a non-governmental authority is necessary. In light of Wood's death, Arizona plans to review its execution process, the department said. 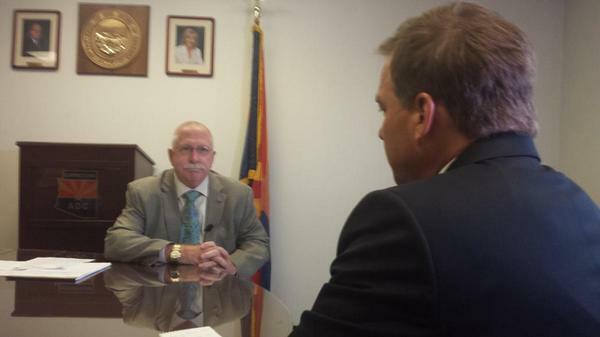 BREAKING: AZ DOC director Charles Ryan says other methods of execution will be explored including firing squad. Wood's execution drew widespread attention for both its long duration, and for conflicting reports that he gasped for air hundreds of times. The Arizona Department of Corrections and the Arizona attorney general have said that Wood's execution was not botched and that he was sedated after three minutes — claims that were reiterated Friday. A medical examiner also told the department that the IVs were "perfectly placed" in Wood's arm. But Arizona Republic reporter Michael Kiefer, who witnessed the execution, told a different story: Wood gasped at least 640 times before he died. "He gulped like a fish on land," Kiefer wrote. Kiefer describes what he saw during Wood's execution. An Associated Press later corroborated the Republic reporter's account, and the documents were later provided to BuzzFeed by Wood's attorneys. Arizona Gov. Jan Brewer has ordered a review of the execution. The investigation was ongoing Friday. Department of Corrections Director Charles Ryan said in a statement that he is "committed to a thorough, transparent and comprehensive review process."